SAN ANGELO, TX -- The San Angelo Community Medical Center hosted its fourth annual "Little Hats, Big Hearts" campaign on Monday. "Little Hats, Big Hearts" is a nation-wide effort of love to bring awareness to moms about the most serious birth defects for babies. 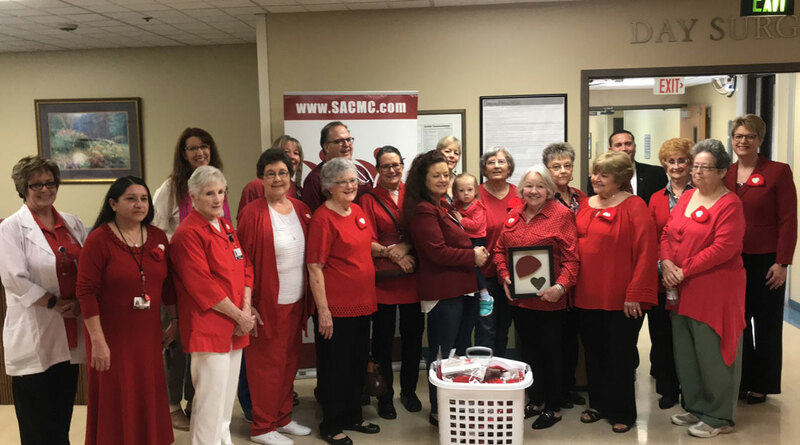 San Angelo Community Medical Center and the American Heart Association, with the leadership of Nancy Rink Johnson, are raising awareness of heart disease and congenital heart defects. "We hear a lot about cancer in kids, appropriately so, but congenital heart disease is by far the number one killer in children." said Cardiologist Dr Michael Blanc. According to the AHA, one in 100 children in the United States will be born with a congenital heart defect. Congenital heart defects are 60 times more common than congenital cancers. "The way the embryo is formed into an infant is a really complicated process," said Dr. Blanc. "There are so many steps into making the cardiovascular system that can go wrong that it's amazing its only one in 100 children." Up to one fourth of children with a serious defect will require surgery within the first year of their life. Some cases will require later surgery and some can even be resolved with medications and other catheter based treatments. Problems with the ventricles being malformed, people having a hole in their heart, and the ways the arteries are attached to the heart are some of the major heart defects. 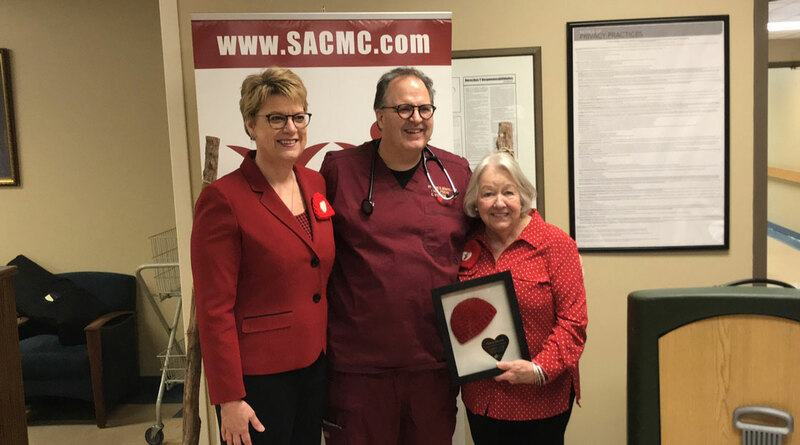 "We want to thank the American Heart Association, and Nancy Johnson," Said Dr. Blanc "This was actually started by Nancy after her grandchild had a congenital heart defect and she wanted to give back to the community. She has done that in our community and is now doing that state wide." The campaign actually started at SACMC by Nancy Johnson. She was originally shipping out the hats all the way to Chicago when Dr. Blanc came to her asking to raise awareness locally. Since that day, Nancy and her group of knitters have made tons of little red hats for the baby's through out the month of February. "We need more hats! We always need more hats," said Nancy "I was sending them to Chicago when i realized Texas didn't have any, so I decided that they can make their own." Since starting the campaign they have been although the state of Texas, sending the little hats from El Paso all the way to Texarkana. "I am so happy," continued Nancy. "If there is any way I can help anyone get this farther, I will call any doctor, hospital, or nurse I need to to get out awareness." "Little Hats, Big Hearts" were at Shannon last Wednesday.